For more insights into Sao Paulo, see American Exbrat in São Paulo. I thought my experience residing in a number of big cities had made me street smart enough to survive any situation. But about six months after moving to São Paulo, I had a run-in with a criminal and realized that cushy Manhattan living had not prepared me for the bare-faced reality of São Paulo daily crime. The following is the next installment of our collaboration (Born Again Brazilian and Brazil in My Eyes) on staying safe in São Paulo. Being robbed by a motoboy who can make a quick getaway. Lockdown at a restaurant where the entrance will be blocked by armed men while the other criminals collect the belonging of patrons. Carjacking, that could include a “flash” kidnapping during which you are forced to drain your bank account at the nearest ATM. Rule #1: Avoid drawing large sums of money from an ATM or teller. It is very possible you are being targeted when you extract cash from your bank. Whether it is someone from the street or an inside job, it happens enough to assume a position of paranoia. If you need to pay someone, do so via bank transfer, a transaction you can do from home online. If you have a household employee who claims they don’t have an account, make them open one. It is better for both parties. If you need to pay a vendor or store, and they don’t take a credit or debit card, they will most likely take a Brazilian check (more commonly than other countries these days). Rule #1b: Be unpredictable in your habits. I’m adding this as 1b because as we’ve mentioned, criminals have time to study. This is their full-time job. If you go to the bank every Thursday at 10 am to withdraw money from your US account, someone is going to figure that out. Sooner than you think. If you usually walk to the shops and back by a certain route, vary it once in a while. This will hold true for car driving as well (next post). Rule #2: Avoid eating out late at night, especially on a side street or more remote location. It is always best to stay at home or in a secured location, like a friend’s house or a club when 10 p.m. rolls around. But if you need to eat on the street at this hour, go to a place that is well populated. Not just with people, but with other businesses. Rule #3: Avoid keeping any item of a recognizable luxury brand or sparkly gems on your person while walking the streets. Your desire to impress shouldn’t outweigh your need to stay safe. Criminals go for brands and jewels they know they can move quickly – Rolex, Louis Vuitton, diamonds… If you just can’t go out without being expensively dressed, at least cover yourself in something so sophisticated a petty criminal wouldn’t recognize it. Yes, we know your Brazilian girlfriends don’t follow this rule. They are Brazilian. You are not. Rule #4: If you must drive a luxury car, you’re going to want a blindado. The best way to avoid being carjacked is to not drive a fancy car. But if you are not willing to lower your standards, at least get it bulletproofed. This service is expensive and also means extra spending on gas because it makes the vehicle heavier. Also, there are various types of blindado that range in price and protection, so ask a lot of questions, including what type of gun will the proofing protect from. Rule #5: Don’t look lost. There is such a thing as looking like a victim. Don’t wander around an unfamiliar neighborhood staring into your iPhone as you try and determine your location. It is a recipe to be robbed. Rule #6: Don’t judge a book by its cover. There were recently a string of crimes involving criminals who were well-dressed and well-spoken. If a well-dressed man knocks on your window and appears to want to ask for directions, don’t roll down the glass. Shake your head and say “desculpe.” Or a woman with a possibly expensive purse approaches your car in the parking lot, jump in quickly and lock the doors if you don’t want to wind up in your own trunk while she shops with your credit cards. Rule #7: Don’t attract attention by speaking English or other foreign language loudly. The Brazilian currency gets weak. That means that foreigners (rich or no) begin to look better as money sources. We’ll cover this more in School Smarts, but there has been a recent spate in kids being mugged outside of schools. They are getting robbed of iPhones and iPads and other electronics. Think long and hard if your kid might be a target by having the latest technology. Make sure your kids know how to react. Rule #9: If you think someone looks suspicious, they probably ARE suspicious. Duck into a shop or busy place until the risk moves on. If it doesn’t, call 190 and ask them to check out the situation. Rule #10: Beware of the “distract and rob” strategy. As many know, our husbands are Brazilian. That does not make them immune in any way. In an attempt to be helpful when someone asked for directions, my husband was facing one way towards the person asking for help, while the accomplice stole his laptop from behind. Hold onto your stuff if you are asked for directions or seem to be getting the run-around. And let me pull out Rule Zero. The overall rule of life in the big city. BE AWARE. Always, everywhere. A criminal may be hanging out on a street looking for potential quick hit victims. If you are “present”, looking around and really looking at people, with electronics and valuables hidden and purse tight to your body, he is going to choose someone else. The someone who is checking her iPhone, paying no attention, checking out her nails. Be less interesting than the next person; be less of a victim than the next person. That being said, no matter what you do and whose advice you follow, something bad may happen. Be prepared for it: do not fight back. Realize, first of all, that your assailant may be on drugs. Even if not, the assailant really does not want a surprise. Move slowly and cooperate with his/her requests. If facing the criminal, raise your hands open-faced in front of you at waist level to show you have nothing in your hands. Do not raise hands above head as this attracts attention and the criminal does not want attention. If you speak no or little Portuguese, say immediately “não falo portugues” (sounds like “no follow por-too-Gaze”). This will alert the criminal that you might not be following instructions because you do not understand, not because you are resisting. If they are asking for a wallet, or cell phone, point slowly to the pocket where it is and tell them you are going to get it slowly. Tell them what you are doing before doing it. Say “Te dou tudo” (“Chee dough too-doo” I am giving you everything). Try and stay calm. This is the most important point. DO NOT RESIST GIVING UP ANYTHING. If they want your engagement ring, give it to them. If they want your Rolex, give it to them. Your wallet, your purse, your MacAir, your tablet, your car, whatever. Your life is not worth the replacement value of stuff. You have no replacement. Do not resist. This will make the criminal incredibly unhappy. I was counseled by a military police to always carry at least R$200 (about US$100) on me, in cash, all the time. It is an amount of money that will satisfy the small time criminal that wants an easy hit. If you only have R$2 in your wallet, they might get mad. Do not make them mad. Do not look the criminal in the eye. They do not want to be identified. If there is a tattoo on an arm or hand, or distinctive clothing, do try to remember that. The police have an impressive file of identifying tattoos for criminals in this city. Do not take a risk in trying to memorize stuff. It may be helpful in the police report but is not worth risking your life. Most of the crimes committed today are to get quick money to buy drugs. Crimes are overwhelmingly committed by 15-23 year olds. This is a group that places low value on life —yours. And realize that the street value of your stuff is low, even if you bought your iPhone for $700USD or your car for $100,000. Want to see how low? This is a volume business. They need to rob many folks to get money. Do not ever chase an assailant. They could look back. They could get upset. They still have a gun. Call 190 and ask for an English-speaking officer. Or ask for the closest “delegacia de policia” to report the crime. Only by reporting crimes can the police put officers on the street in the right areas. Speaking of smartphones, there is a time and place for their use. Technology that can help you stay safe when you are out of your home is springing up daily. Just make sure you are aware of your environment before you become engrossed in your phone. Taxis: There are a number of smartphone apps that can make travel by taxi safer and easier for those who do not speak Portuguese. While I prefer to use my local taxi stand when I’m near home, when you are around town, you may want to try one of the many apps: 99Taxis, Taxijá and EasyTaxi are three of the ones I have used. I have a slight preference for 99Taxis because the drivers do not have to pay to use it (nor do you). When you press a button to call a taxi electronically, when a taxi is nearby, it will accept the call and you will be provided the name, the cell phone, the license plate and make/model of the taxi, and estimated arrival time of the taxi driver. You then can leave your secure location only when that exact taxi has pulled up. In addition, we are testing three other safety apps called Agentto (for issuing panic alerts to an established safe circle of friends and family), Cidade Legal, and Aster, which is a private security service. We’ll update this information with our findings. Next safety post we will cover the topic of staying safe in your car. And briefly touch on public transportation safety as well. Gallery | This entry was posted in Crazy Adventures, Culture Conflicts, Expatriate Info & Advice, Foreigner Insights, Living in Sao Paulo, Safe in Sao Paulo, Tourist Info, Travel and tagged American, brazil, business traveler safety, crime in Brazil, crime in Sao Paulo, culture, expat, expatriate, life, safety, sao paulo, staying safe in Sao Paulo, tourist safety, travel. Bookmark the permalink. Wow! Very helpful tips, great work M!!! Looking forward to the next posts on safety in São Paulo! You can see reports about how and where people were robbed near where you live and be especially on alert near any crime hotspots. Thanks Stephen! I’ll post this site to FB and twitter. Thanks! If we ever end up living in São Paulo city (it was a possibility before being send here), I will make sure to read through all of your tips. For now, I just lightly glanced through your post (too scary for me!) 🙂 (Though I should mention that my husband lived a few year in SP when he was a student and never had any encounter with criminals. Thank God. Maybe he looks scary or else he looks too poor himself! ha ha). HA. I mostly try to walk around looking as poor as I can in my American clothes. My husband grew up in Rio and had a different experience – he’s been mugged more than a dozen times as a teen/young adult. Yikes!! This is really useful information. I read a book called “The Gift of Fear” by Gavin de Becker that also has a lot of useful information. One thing that stuck with me from that book was that women are often targets because they worry more about being rude than about being safe. So if someone seems creepy or weird, it’s better to avoid them and offend them than to be a victim. For example, if you’re walking down a street alone and a man is walking down the street alone toward you, it’s better to cross the street and have him think you’re racist or something than to cross paths with him just to avoid offending him. The book also gave the advice that women should always ask other women for help (directions, car problems, etc) if possible. That makes sense. I probably wouldn’t cross the street because someone looks creepy for exactly that reason. However, I have told someone off for approaching me for money at night. Not robbing, just asking for money, but I was angry told him to get lost. In retrospect, that probably wasn’t so smart. I should have just walked away. street value is so low!! do u know why is it so cheap? thanks! cars and electronics are so expensive in brazil!! It’s so low, Anna, because they are not selling to anyone who actually wants it. They are selling it to a “fence” who is in turn wiping the data and re-selling it at a higher value. The street value is so low because they are selling it to someone who knows they stole it and doesn’t care. Lots of helpful tips here. The only one I disagree about is getting your car bullet proofed. I know of several people who were mugged in their car or their house was robbed simply because they owned a “carro blindado”. The muggers even told them that. “You have a bullet proof car, you must be rich. There must be something to steal here.” The professional criminals know how to identify bullet proof cars. When you have one, it attracts attention and makes the criminals think that you must have something you want to protect, i.e. something that is worth stealing. You make yourself a target. Hi Erin, as a co-writer of this post, I am going to answer my personal opinion. For the first three years I lived here, I did not have a bulletproof car. My husband was required to have one as an executive of his company–he also had a security-trained driver and panic alarms in various locations in the car. I hated the bulletproof car–the back windows don’t open, it is heavy (gave myself a near concussion on the trunk lid, etc) and it did draw attention. But I have to tell you that it drew attention for being a large imported vehicle, and only secondarily as a bulletproof car. Yes, you can tell which cars are blindado in two ways: 1. the number of ID is imprinted on two layers of glass so you can see the “reflection” and 2. the glass in the front driver’s window looks almost like a rainbow when the sun hits it. You and I can tell the difference: we don’t even need to be professionals. I think the point here is the following. If you are going to drive a Land Rover Discovery, worth $250,000 reais, you should bulletproof it. Your car attracts attention because it is expensive, not because it is bulletproof. If you drive a BMW coupe, worth $350,000 reais, bulletproof it. The man who was killed last week in a robbery attempt near Congonhas was driving a BMW that was not bulletproof. That was his judgement call, as was resisting the robbery. I now drive a bulletproof car myself. It is a Japanese car, not much more expensive than any other one on the street. It is a popular car, which is why I bought it. It looks like many others. I do not worry at stoplights. I do not worry when I get lost on a dark street. In my nonbulletproof car I did. So, as in everything here, it is your own judgement call; I am going to stand by my opinion that if you drive an expensive car, you need to bulletproof it. If you drive a Fiat Uno, you’re probably not going to be a target for many reasons. Though, how would I know? Erin – you point is very good. However, I take the position that if you don’t want to attract attention to yourself, drive a Volkswagen not a Mercedes. Don’t bullet proof your Volkswagen, because it might change a criminals mind about what you have inside. But I agree with Kristin, if you must drive a more expensive car, get it bulletproofed because you are going to stand out anyway. A friend, who drove a nice car, recently was accosted at gunpoint by someone who wanted her car – and her in the back seat of it. Her car wasn’t bullet proof, though she quickly traded it in for one that is after that. FYI – to the readers, a Toyota can be considered a luxury car in this country. I’m sorry but is sounds strange as hell – isn’t having only debit card with low (100 BRL operation a day or something) limits the best option? The amount 200BRL is not a low amount, even for a tourist from much richer country. Do you think it’s safer if you speak portuguese? Do you think it’s safer if you walk around with a child (robbers sometimes have limits)? Hi Maria. What neighborhood will you be staying in? Hi, I’m not sure yet (I’m not the one taking care of housing). I believe I will be close to Paulista, possibly close to the consolacao subway station. You should be fine walking around with your child during the day. Just know that despite a recent campaign in Sao Paulo, the pedestrian rarely has the right of way. That’s a great post, you’re like a local and are as just as paranoic as I am. I’ve been living in Dublin is the last three years but decided to go back to São Paulo, I was born and raised in there but I feel so scared of the violence in this city. That’s what I feel that will be the worse thing to readapt myself to. Your post is really scary but the it’s what we feel living there. Well done! Thanks! I hope all the tips are helpful for you. Hi! I’m a grad student at cranbrook academy of art in Michigan and our department might be planning a trip to Sao Paolo this coming January. I was concerned about 1. Safety, 2. Getting around efficiently, 3. Knowing where to stay. Do you think it’d be a bad idea for 16 people to travel to Sao Paolo to check out the contemporary art scene without a tour guard or tour guide for the whole duration of the trip? I am sure we would stick out like a sore thumb. I’m from a pretty rough part of L.A. And I think I am pretty good at being street smart but I can’t say the same for the rest. Your input would be much appreciated! Also, we have a friend who lived in Salvador who was a percussionist for Carnival. He got mugged and beat up about 4 times. He was saying we’d prob need a tour guard and to stay in touristy areas despite those areas being targets as well. Salvador is a much rougher neighborhood. 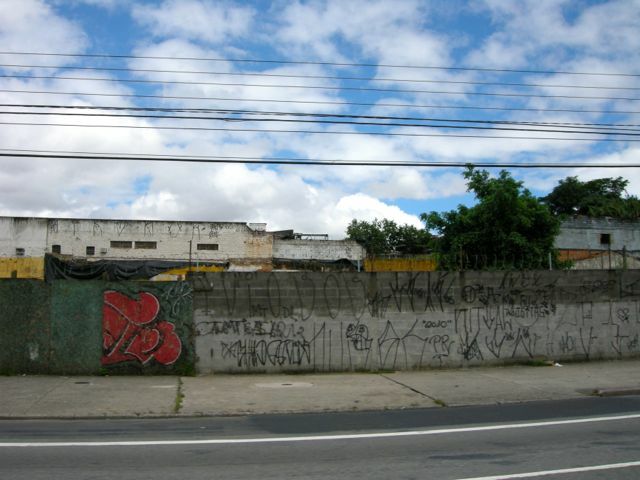 You will be fine if you stay in the touristy areas of Sao Paulo – where the art is anyway. If you stay in a crowd, you will be just fine. Be sure to read entire series of posts so you understand why Sao Paulo crime is different and what to do. Thank you for the blog. Your blogs are interesting and realistic. We are german living in boston about to move to soa paulo. After reading this. I am not sure anymore if we should really make a move. So scared! Don’t be scared!! Most cities have some dangerous aspects and Sao Paulo doesn’t necessarily have more crime than other cities. But the crime is different and you need to know how to avoid it and react. You will be OK! I’m planning on going for the World Cup. Any idea about the safety during that time ? I am thinking of renting an apartment with a friend but feel a hotel might be more safe. Am a bit worried after reading your posts. Any suggestions ? And where should I stay in São Paulo? If you are coming for the World Cup, the main thing to remember is to be on guard. I recommend if you really want to up the probably of not getting involved in any sort of crime, you stay at a hotel. However, this will be expensive. If you budget doesn’t allow for inflated prices, you really want to know what you are getting into when renting an apartment. Neighborhoods like Jardins, Itaim, Higienopolis, Moema are your best bets for having high security for the building. Feel free to send me an email with more info about your stay and I’m happy to give you my opinions. bornagainbrazilia: heyy this info is very helpful. thanks. I am looking at going for the world cup too. and extra help would be much appreciated. pete you get anything sorted? Hoping my partner in crime (hahahahaha) Brazil in My Eyes, is going to publish something on World Cup safety. Will check in with her. Hi. I’m studying abroad in Sao Paulo in September 2014. Do you think the protest activity would have subsided by then? Do you think the extra security measures employed by the government would be removed immediately after the the World Cup? Any insights is much appreciated. Love your blog! I think after the Cup things will slow down. But the protests are not really something to worry about. The protesters are not violent, however sometimes they have people who do want to commit crimes take advantage of the movement. I don’t think you should worry. Come and enjoy! Thank you for great posts on safety in Sao Paolo. I am staying a few days in November, and trying to decide the safest transportation between GRU and my hotel in Chácara Santo Antonio region. I will be doing some backpacking in Chile later on my trip, so my luggage will be a backpack and suitcase. I am thinking it is best to try an blend in as much as possible, cover up the expensive outdoor gear with a older / grungy bag. I am curious if it is smart for me to just hire a security driver to take me from the airport to my hotel, or does this instead advertise to the criminals that you are target? I also might try the 99taxi app. Suggestions are much appreciated. Thanks. I’m very happy that I stumbled upon your blog as you’ve covered so many topics for which I’ve had questions and you explain your points very well. I’m a recent college grad and have been taking steps toward attaining a student visa to attend a Portuguese class at PUC while living with a close friend of mine in Itaim Bibi with hopes of teaching English for an income. My main concern is safety in the surrounding neighborhoods, specifically when I leave class from PUC at 9pm twice a week and have to commute back in the dark. Reading the stories about the type of crime that takes place in the city has raised my concern quite a bit. I am from the Philadelphia suburbs and have had my fair share of shady encounters in the city but feel as though I will have to live with a certain sense of paranoia when going about my days in Sao Paulo. My second concern is properly forecasting a budget for food, nights out, etc. I figured that the almost 3 to 1 exchange rate would be in favor of my dollar but keep reading about how expensive things can be in SP. Also, is there a reliable, easy, and affordable way of travel to other cities and countries from Sao Paulo? I want to plan trips to Peru, Argentina, and Chile while I am staying in SP and am trying to find the most economical way of going about it. Sorry for the long comment and thank you in advance.. I’ll continue to browse your posts! You can take the bus, which I always enjoy. I believe one of the companies is 1001. Check it out. My daughter and I took it between Sao Paulo and Rio many times. I will be traveling to SP with my 1 and 2 year old next week and have become increasingly concerned about safety as I research more. I am especially worried because i know that my attention will be divided, so I may not be as aware of my surroundings as if I were traveling without children. My husband will be working long hours during the week and I want to feel comfortable exploring the city, going for meals and groceries, and entertaining my children without being limited to the hotel for the full day. Do you have any specific tips or guides you might recommend? I don’t speak Portuguese and my Spanish is poor, so I think having a guide might be very helpful. Any recommendations are appreciated! Hi Mommyof2. A few months back, I would have told you not to worry. But recent experiences of other expat women and children have been very scary. Be very careful driving around because there have been a series of attacks with moms and kids in cars that have resulted in a multi-hour experience of forcing over all your critical information and draining your bank account. This is especially dangerous if you don’t speak Portuguese, because while an experience criminal would just give up on you, there is a new fleet of inexperience criminals that don’t follow the old set of rules. Still to walking around your neighborhood during the day and wearing as little jewelry or luxury items as possible – preferably none.